Everest Base Camp Trekking is by far one of the most popular trekking in the world. It comes with the most thrilling and unforgettable experience of them all. 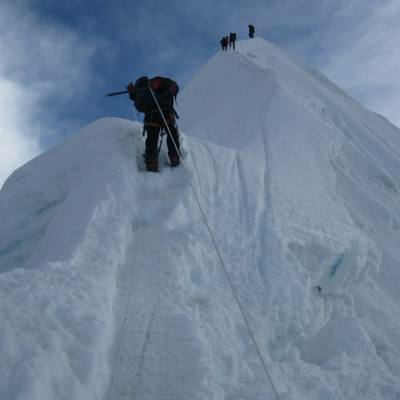 If you are in search of quality service, Nepal Everest base camp trekking company provides you with quality services, guide and other necessary things which are needed for the trekking. We ensure that you won’t regret your decision for choosing us. Nepal Everest Base Camp Trekking Company provide Synoptic packages all around Nepal. Trekking to the Everest Base Camp in Nepal is in many ways like visiting a mountain museum. 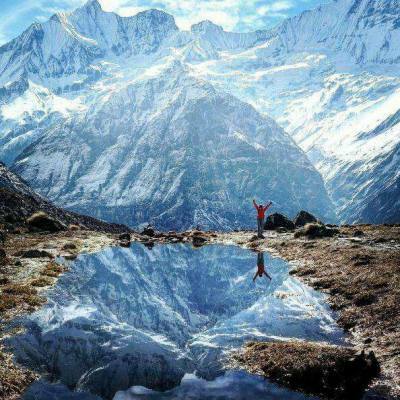 We offer various trek to Everest region departing every day from Kathmandu. Any number of people can join us on any of their convenient dates throughout the year. In addition to Everest Base Camp and Kala Pattar trekking, that's called Everest base camp trek. Nepal Everest base camp trekking company is one of the specialist organizers for Everest region trekking packages. We organize to Everest region such as Everest base camp trek, Everest High Passes Trekking, Everest Circuit Trekking, Jiri Everest Base Camp Trekking, Everest Panorama (View) Trekking, Island Peak via Everest Base Camp Trek. We also provide other packages then Everest region as well. As we are a sister company of Nepal Hiking Adventure Company Pvt.Ltd. Beginning of March to May is the best time for the trek. September to October is also favorable for the trek. During the trek, you can easily find food(local and continental), comfortable lodges. Hot shower is also available for some extra charge. Supplies are shipped to the Base Camp by guides or porters, and with the help of animals, usually yaks. The close up mountain views during the trek are jaw-droppingly beautiful. Trekkers usually fly from Kathmandu to Lukla to save time and energy before beginning the trek to this base camp but trekking to Lukla is also possible. 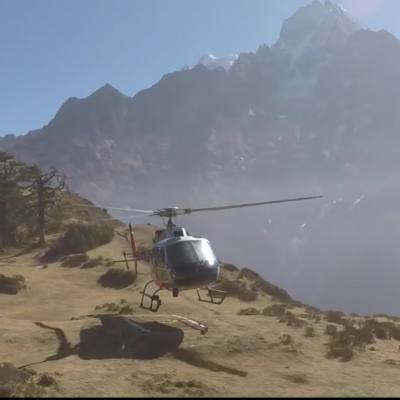 There are no roads from Kathmandu to Lukla and as a result, the only method of transporting large and heavy goods is by plane. You can see more than 5 high mountains (above 7000 meters) during your ultimate destination to reach the Everest Base Camp at an elevation of 5364m. 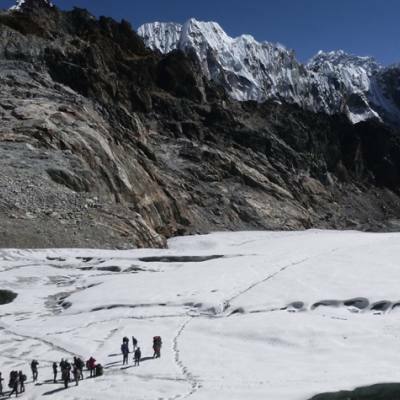 You must be prepared to walk at least 5-6 hours a day enjoying the Everest region trek. Everest cannot be seen from the base camp so you need to climb up to Kalapathar 5545m (actually means 'Black Rock') located right at the foot of Pumori (7161m) and above Gorak Shep on the way to Everest Base Camp. 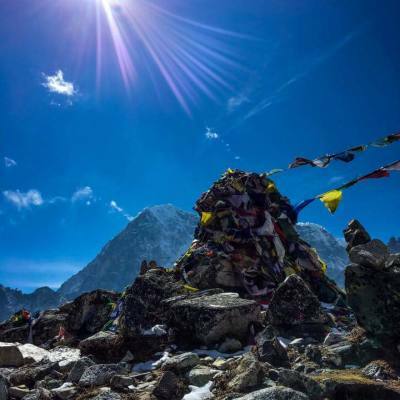 .The views of Everest, Lhotse, Nuptse, and many other peaks are spectacular from Kala Pattar.